In mid January 2019, an issue that caused international outrage in the summer of 2018 resurfaced on the news: family separation at the U.S.-Mexico border. The outcry was sparked by a government oversight report concluding that U.S. authorities do not possess reliable data about the total number of separated children nor sufficient information to facilitate reunification. The report, published by the U.S. Department of Health and Human Services (DHHS)’ Office of Inspector General (OIG), confirms that children had been separated from their parents months before the ‘Zero Tolerance’ policy was formally announced by former Attorney General Jeff Sessions in April 2018. Since early 2017, parents who arrived at the border to seek asylum or who were apprehended by the Department of Homeland Security (DHS) after crossing without authorization were separated from their children as part of a ‘pilot phase’, foreshadowing future government policy. With the introduction of ‘Zero Tolerance’, serious concerns arose over the question whether the government would be able to monitor separations, particularly amid a scandal involving immigration authorities’ ‘losing track’ of hundreds of migrant children. The concerns proved justified: The OIG report asserts that until July 2018, “no centralized system existed to identify, track or connect families separated by the DHS”, making it impossible for DHS or DHHS to know the total number of separated children. The adoption of the ‘Zero Tolerance’ policy was a deliberate choice by the Trump administration by which the prosecution of immigrants for “improper entry” became mandatory. Prior administrations had allowed prosecutors to exercise discretion in deciding whether to bring criminal charges. In most cases, individuals were either briskly expelled from the U.S., or when appropriate, paroled into the country in order to make an immigration application. Trump’s decision to prosecute all unlawful adult entrants generated a shift in their classification and treatment. Prosecution for the misdemeanor offense of entering the U.S. without authorization prompted the parent’s detention by criminal law enforcement officials, provoking an implicit determination that the parent was not “available to provide care and physical custody” of their child(ren). Making prosecution and detention effectively mandatory, the Trump administration rendered parents legally ‘unavailable’ to care for their children. In such cases, the DHHS considered children to be ‘unaccompanied’ regardless of whether they were accompanied by their parents at the time of entry. Children were promptly taken into custody of the DHHS and housed in agency contracted shelters or released to a sponsor. Incomplete records and policies limiting contact with children in custody prevented detained parents from seeing their children, leaving them completely unaware of their whereabouts. Little did they know, so was the government. In this nearly year-long series of immigration policy scandals affecting entire families, the public paid little attention to relevant U.S. immigration laws and their interplay with the policies of previous U.S. administrations. Taken out of context, it is difficult to assess the emergence of ‘Zero Tolerance’ and its place in the history of U.S. immigration law and policy, and what risks children and families will continue to face. Trump’s statement failed to acknowledge the role of his own administration in the initiation of the family separation policy, which was ended within less than a week following the press conference through unilateral executive action. A closer look at the evolution of immigration law and policy in the U.S. reveals that partisan politics have a minor role in the fractured debate on immigration. Instead, we observe a consistent trend towards tougher immigration policies and border security since the 1980s. Trump’s June 2018 Executive Order reveals that the democrat-controlled congress, or any congress for that matter, did not pass the alleged ‘law’ on family separation, but was in fact the Flores Settlement Agreement. The Agreement was the result of a lawsuit on behalf of Jenny Flores, an unaccompanied teenage girl from El Salvador, seeking to escape armed conflict to join her parents and family members in California. She was held in an immigration facility in unsafe and unsuitable conditions under a regional immigration policy that limited her release to parents or lawful guardians. Jenny’s parents, undocumented residents of Los Angeles, were weary of being apprehended and deported if they stepped forward to claim their daughter. The Flores Agreement intended to provide standards for the processing of minors by immigration authorities until the government could enact explicit regulations. However, more than twenty years later, no such regulations were enacted. Instead, the protection of minors came under attack by nominally divergent administrations which sought to impose harsher outcomes for children than the Flores agreement permits. Trump’s Executive Order to end the family separation policy – ironically coinciding with the internationally recognized World Refugee Day – did little to resolve the hardships that immigrant children and families continue to face in the U.S. immigration system. Criminal prosecution of unlawful entrants will continue, and the administration can use family detention practices in order to avoid separating parents from their children. But the detention of entire families is not a humane solution, and for that reason, is still subject to the standards set by the Flores agreement. In addition, the Ms. L. v. ICE court order restricts the DHS to continue certain separation practices and mandates the possibility of family reunification.. Nonetheless, the scope of that court order is limited: it doesn’t include children who were traveling with non-parent relatives nor children who were released from DHHS custody prior to June 2018. Reunifications are slow , with a growing number of lawsuits attempting to bring children and their parents back together. And while the ‘Zero Tolerance’ rhetoric has waned, criminal prosecutions continue, with courts in Texas, Arizona, New Mexico, and California now dedicated solely to the criminal prosecution of “illegal entry” offenses, though not without some resistance from district court judges within these states. To make matters worse for parents who are subject to criminal prosecution, DHS apparently circulated a set of proposed rules that would make any person convicted for unlawful entry to the U.S. ineligible for asylum. At the same time, the government is increasingly pressuring migrants to enter the country unlawfully by rapidly sealing off the possibilities of lawful entry, including temporary parole into the country for asylum-seekers. The practice of turning away asylum-seekers at points of entry has been well-documented. 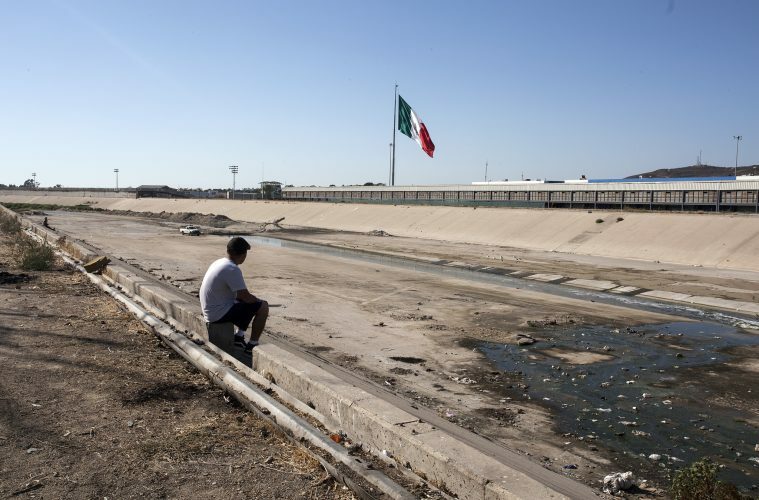 The January 2019 adoption of the so-called ‘Remain in Mexico’ policy requires asylum-seekers to await their turn to apply for asylum in informal and overburdened shelters or temporary encampments in Mexican border towns. The government thus increased pressure on already desperate migrants. Analucía is the co founder of Alza la Voz Glob, a human rights network that facilitates community dialogue. Kavita is a human rights and immigration lawyer from Los Angeles. Featured Image: Taken by Analucía Partida.